Mr. Arzadi is the founder of the Law Offices of Karim Arzadi which has been providing legal advice and representation to its clients with an emphasis in plaintiff’s personal injury claims and workers’ compensation claims. Mr. Arzadi has been practicing law for 30 years concentrating on winning fair compensation for those injured due to the negligence, carelessness and recklessness of third parties. Mr. Arzadi graduated from the City University of New York in 1982 with a Bachelor of Science Degree majoring in political science. He attended South Texas School of Law and received his Juris Doctorate in 1985. 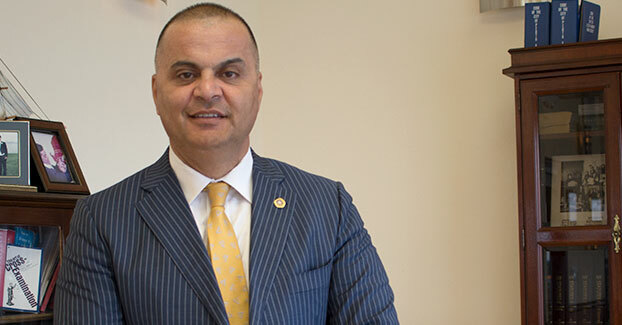 Mr. Arzadi was admitted to the bar of the State of New Jersey and New York and welcomes the opportunity to represent you in personal injury actions in New Jersey or New York. In addition, he is also admitted to practice in the United States District Court – District of New Jersey, United States Court of Appeals for the Third Circuit and is an Attorney and Counselor of the Supreme Court of the United States of America. Prior to starting his firm, Mr. Arzadi worked as an associate with major New York personal injury litigation firms, and was also employed with the Law Office of Benton Musslewhite where he worked on a case involving the largest personal injury settlement in United States history at the time representing veterans of the armed forces in their Agent Orange Product Liability Litigation claims. He has been a Trustee for the Middlesex County Bar Association, the Middlesex County Bar Foundation and a former municipal prosecutor. In addition, he contributes and supports civic causes, such as the Unity Bicycle Run, Garden of Hope Memorial, St. Jude Children’s Hospital and the Perth Amboy Business Community. Mr. Arzadi and his associates welcome the opportunity to be of service in fighting aggressively and zealously to get you the compensation you deserve for your injuries and damages.